Gone are the days when prospective car owners would stroll through dealerships with a sales associate, combing the lot for the perfect car. Like the auto sector itself, the automotive sales industry is undergoing a rapid transformation as consumer habits change. Today, consumers are increasingly using digital, and specifically mobile, to make their purchasing decisions. These changes are most prevalent in the way consumers research cars and interact with dealerships. It’s no surprise that most auto shoppers begin their research at least four months before making their purchase. However, we’re seeing a shift in where consumers research cars before they buy. According to internal Google data, almost 70 per cent of car price details are now being searched on mobile. These mobile searches are increasingly turning to apps like Kelley Blue Book’s Kbb.com and Edmunds which provide real-time car values to users. Once the buyer has narrowed down their decision, they begin to search for different features and options that come with their short-listed cars. To find this, consumers turn to image searches to gather more information with 80 percent of these car image searches happening on mobile. Once consumers want to dig even deeper, they can turn to apps like The Car and Driver Buyer’s Guide which lets vehicle shoppers read reviews of the newest car models as well as see specs and pricing information. And buyers aren’t just using mobile for research; even the way they behave and interact at dealerships is increasingly being affected by mobile. The vehicle-buying experience on car lots across the world is changing immensely as consumers use mobile to gather real-time advice and information while they’re already at the dealership. That means if your customer is constantly on their phone while at your dealership, there’s a good chance they’re doing more than texting— they’re searching competing dealers to confirm the price you’re offering is the best! There’s always going to be a need for the brick-and-mortar dealership, but potential buyers are visiting dealerships much less frequently. Just a decade ago, the average consumer visited a dealership five times before purchasing a car; that number is now down to two. 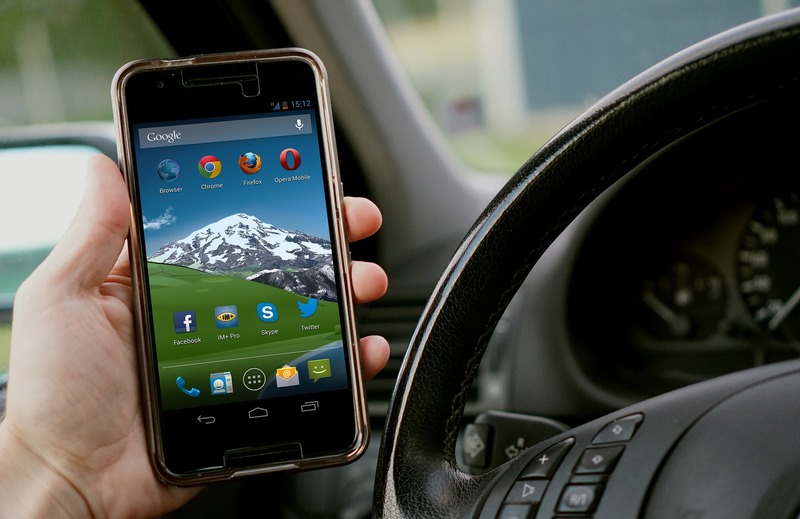 Car buyers are increasingly relying on mobile and other digital streams to get their information. It’s now up to dealers to optimize this mobile experience by providing consumers with information that can be accessed through the dealership’s mobile streams anytime, anywhere. One way to keep customers on your lot is to leverage geo-targeted mobile ads when people are searching for auto information in or close to your dealership. This allows you to feed them information like incentives, pricing, and inventory in a mobile-friendly format. Customers will feel more comfortable with the sale since they’re discovering the information for themselves, which will in-turn make them feel more confident in their buy when they’re approached by your salespeople. Once a customer has interacted with a dealership, they’re likely to seek out the dealerships social media accounts to stay informed. Whether it’s through Facebook, Twitter, Instagram, YouTube or Google+ (in some cases all of them!) it’s crucial to interact and engage with your customers while they’re on-the-go. By doing this, dealers will be able to monitor customer feedback, resolve any customer issues remotely and in real-time, and above all else, build trust; all through the palm of their hand. As the automotive sales industry pushes further into the mobile world, the way buyers and sellers interact with each other will continue to transform and adapt. Whether it’s through TradeRev for dealers or other emerging technologies for consumers, one thing’s for sure, mobile will continue to influence how we shop for cars. Scott Esplen is all too familiar with the complaints people have when it comes to selling their used cars to dealerships. Interminably long waits, a lack of transparency and ultimately doubts over whether they’re getting a good deal tend to define the experience for a lot of consumers. Three years ago, Esplen – director of used vehicle operations at Humberview Group – decided to automate the process by incorporating TradeRev, an online system that hosts used car auctions in real time.